Last week Trax Ghana reported on its quarterly meeting (read the article here). The meeting was centered around the theme of communication. One thing that became evident is that for effective communication, there was an urgent need for additional cameras. 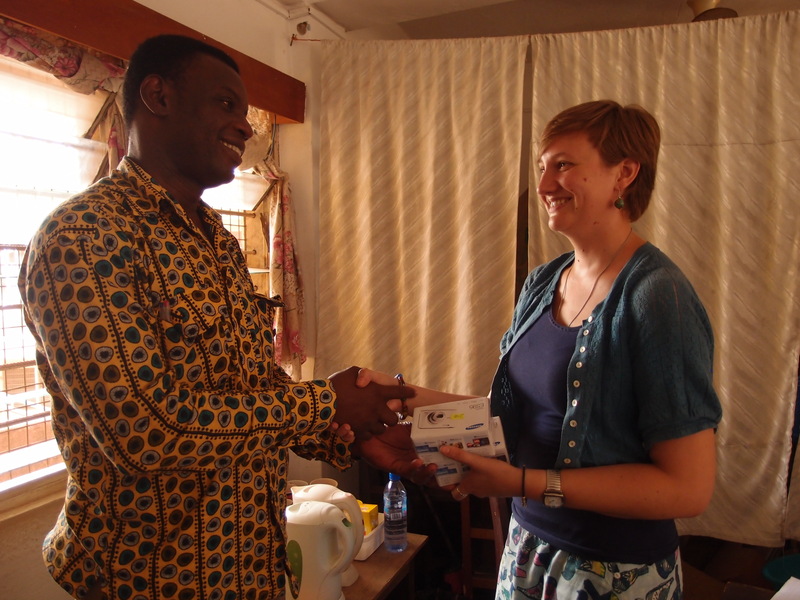 Rachael Taylor, a doctoral student doing her fieldwork with Trax Ghana, took this to heart. She has donated two Samsung cameras to Trax Ghana. Rachael is currently doing her second leg of fieldwork in Trax’ Bolgatanga office. She investigates how development interventions do or don’t enhance the adaptive capacity of smallholder farmers in Northern Ghana. Preliminary findings have indicated the importance of social capital. Visit her blog for more commentary on her work. This entry was posted in Media, News Update and tagged bolgatanga, camera, donation, Ghana, photo, presentation, rachael, research, taylor, Trax, Upper East Region. Bookmark the permalink.